How can an LMS Improve Employee Training? A learning management system is a software application that automates the entire process of administration, tracking, reporting, and delivery of training programs. An LMS helps users in performing the most vital functions of training- User, Course, Reports, and Records Management. Besides, providing a continual source of knowledge for the employees, an LMS manages the training process of a dispersed workforce with diverse training needs efficiently. The trainees enjoy a personalized learning experience, upgrade their skills as per altering market requirements and develop proficiency in meeting their job roles. Auto-grading and tracking feature of LMS keep a close watch on the trainees and evaluate their performance as well as identify any need to upgrade the courses. Quizzes and tests at the end of each lesson assess the retention rate of the learners. Customized certificates motivate learners to improve their performance. Web-based LMS encourages learning during preferred hours. Informative LMS facilitates micro-learning that helps employees to quickly brush up their knowledge and recollect data. Embrace a paperless way to conduct employee trainings. Save time and cost overruns on scheduling frequent classroom trainings or buying expensive training materials. Create and manage highly- efficient and cost-effective trainings from a single platform that can be circulated to your entire workforce over and over, with a single click. Motivate employees to take charge of their trainings to save precious time. 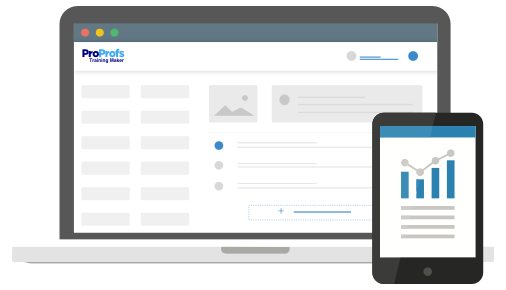 Add any number of learners and instructors in a single-click. Assign courses directly to learners or designate learning paths to ensure employees know what courses to complete and when. You can also specify the order in which employees undertake trainings to avoid confusions and improve training and learning outcomes. Give your employees the freedom to learn anytime, anywhere to foster a remote learning culture in your organization. Allow employees to focus less on the commute and more on learning. Create Android and iOS friendly courses, so that employees get an immersive learning experience whenever they feel like. 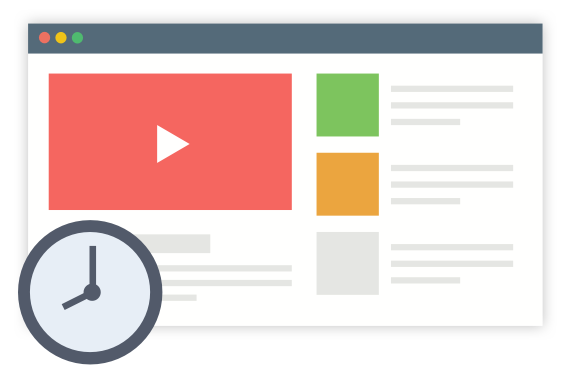 Send the training link over email, embed on a website or post on social-media. Never chase an employee again for “training status.” Set-up announcements or email reminders to notify employees whenever a course is assigned or gets overdue. Monitor course completion status for single user or a group of learners; all from a single dashboard. Identify what keeps learners from completing the courses with advanced reports such as course completion time, certificates and scores. You can also set-up an expiry date for every course and persuade employees to finish courses on time. 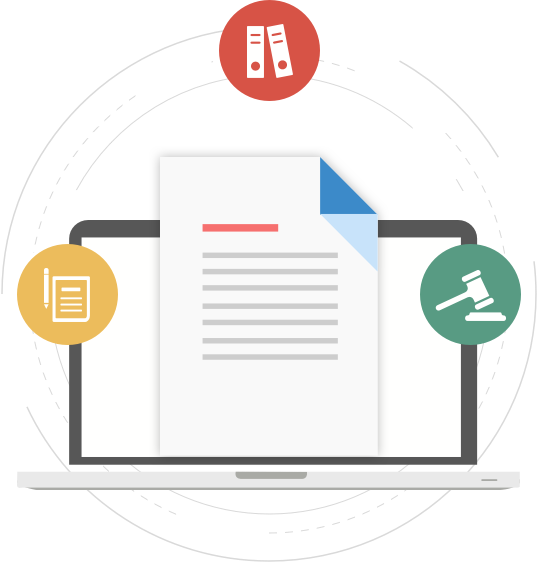 Avoid hefty penalties resulting from compliance breaches. Stay on top of your compliance requirements and never pay a fine again. Educate employees about the importance of workplace safety or let them explore their potential with skill-based trainings in diverse areas such as Sales, Operations, and Support. Create trainings on topics such as OSHA, sexual harassment, HR, Customer Service and more. Compliance Training educates your employees on the different laws, job roles, and corporate regulations that help them to maximize their potential and avoid ruining the company’s reputation. Employee safety training promotes safety work culture in a company. It teaches employees to work under the prescribed safety measures and avoid unnecessary workplace accidents. Induction Training introduces recruits to their respective job roles, the company’s culture and objectives, safety measures to follow, and onboard new employees faster into the work process. Training is created automatically once you upload your content. There is No software installation or download. 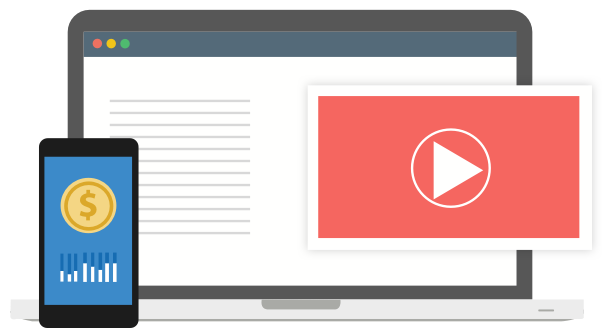 Upload you existing documents including PowerPoint, Video, image or any graphics with a single click to automatically create your training. It is fun to learn and easy to use. Employees love to learn and develop themselves through training courses. Employee Assessment will any more consume no time as they are done automatically after a test. Secure your courses, surveys and quizzes with passwords and private links. Also customize access to training courses. Upload your logo in your training content, quizzes and surveys to build your brand. Also customize certificates with your logo. ProProfs online employee training courses can be accessed even when you are on the move with tablets and mobile devices. Teach & learn anywhere, anytime. Employee assessment is done automatically with quizzes and surveys. Manage employees through classrooms and groups. Make announcements and share tests with a single click. In addition to training your workforce, you can also sell online courses for further training and teaching. 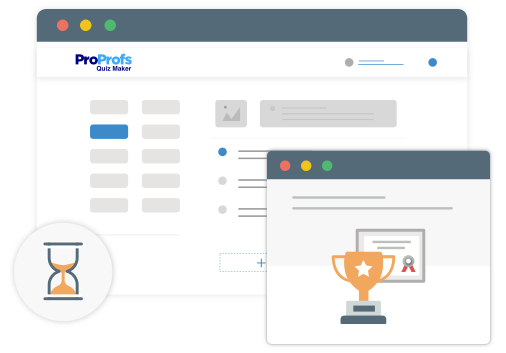 ProProfs online employee training software comes in an integrated package, enabling you to create quizzes and create surveys for assessment and research. Train and develop your workforce with custom made features and it is made possible in few clicks by ProProfs. Employee training and development program can be considered as one of the most substantial business assets. Employee training is valued across industries and investing in one is a wise decision. Adequate training and development programs bring out the hidden potential of employees and improve their work proficiency. Nurturing and retaining such talents as useful assets offer a competitive advantage and benefit the company in the long run. Corporate training and development enhances employees engagement level and contributes towards their personal growth as well. Employees emerge as multi-skilled and valued assets of the company post-training sessions. They feel empowered with increased responsibilities and start contributing more towards business objectives. Healthcare professionals require adequate training and development to remain updated. Proper training programs create skilled medical personnel who are qualified to address the medical issues of any patient accurately. Satisfied customers decide the success of any company that specializes in the hospitality business. Effective employee training program enhances interpersonal skills and reflects the company’s overall work culture. Staff training in manufacturing industry teaches workplace safety measures. Effective training programs develop job-specific skills, boost work productivity and confidence of the workers as well as help prevent workplace accidents efficiently.